A delicious side to any meal! Also perfect for lunch, BBQ's or picnics in the park! Happy spring everyone! Spring makes me think of picnics and BBQ's! 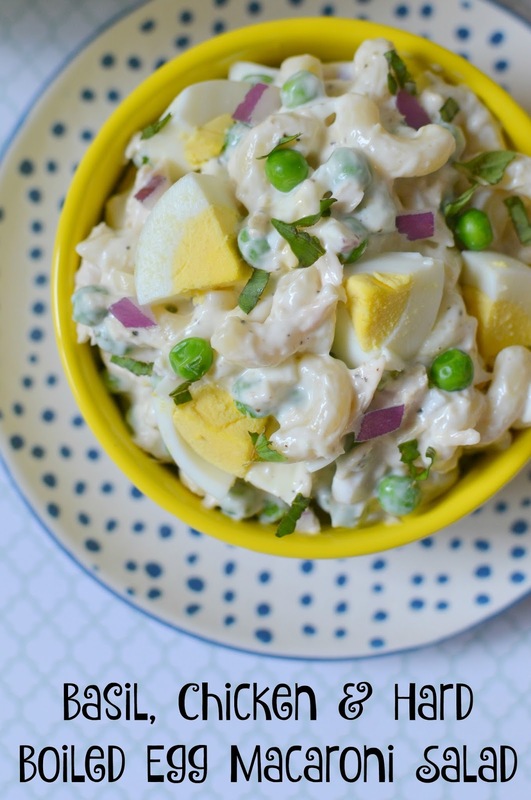 Although it's still a little cold to be doing both of those activities, I have an amazing pasta salad recipe to share for now, or when it's nicer outside! 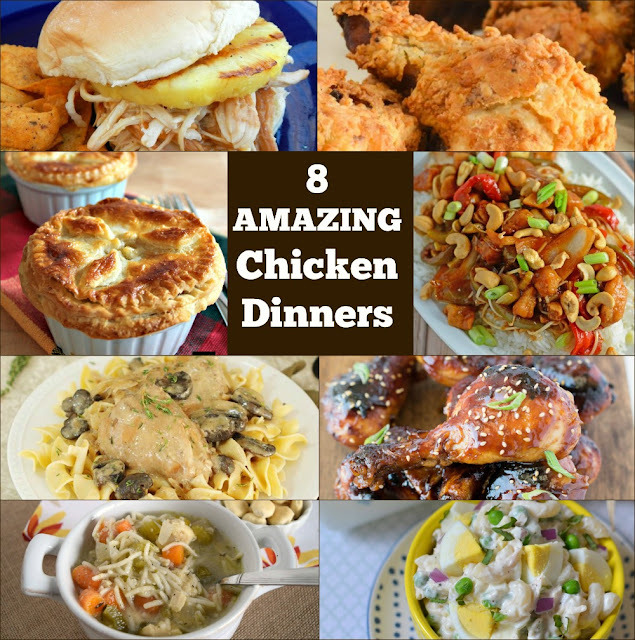 I also have seven other delicious chicken recipes from my blogger friends and you can find links to those after my recipe! After last month's theme of lemon recipes, chicken was the perfect choice for this month's theme! 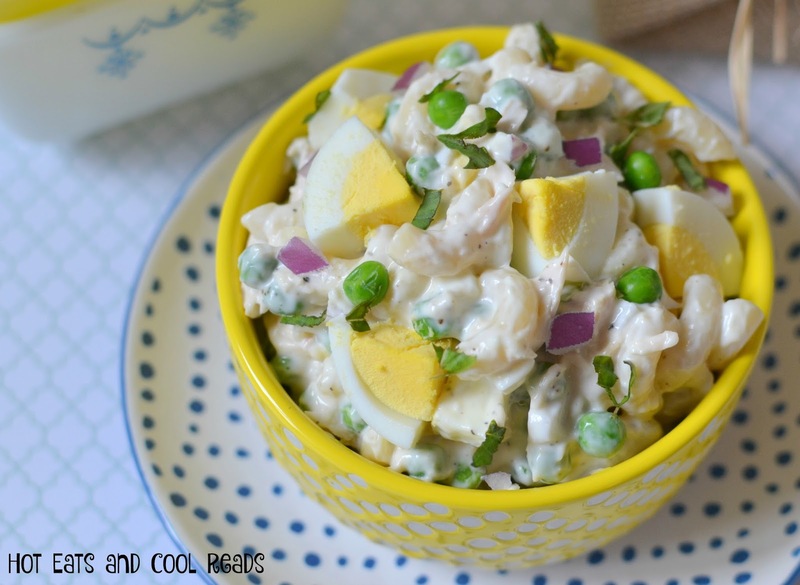 Macaroni salads are perfect for picnics and BBQ's! They are super versatile and you can pretty much make them with any ingredients you have in the fridge or pantry! I picked up a rotisserie chicken from Sam's Club the other day and used the leftovers in this recipe. It really can't get much easier. I always have extra cooked pasta in the fridge for this Tomato and Cucumber Pasta Salad that my daughter takes for school lunch. The cooked macaroni also works great for whipping up pasta salads like this as a last minute side for dinner. This pasta salad is quite spectacular! The basil gives it a nice burst of fresh flavor and you can't go wrong with hard boiled eggs. They are seriously my favorite in pasta and potato salads. This makes a smaller batch, but it would be great for a crowd when doubled. I'm especially looking forward to have BBQ's in my backyard this summer. I bought a Habitat for Humanity house a little over 2 years ago, and this summer we are fencing in the backyard for privacy, putting in a patio and an electric fire pit! I can't wait to have company over, relax and eat some good food! After planting cherry and apple trees the last couple summers, it's time to get the yard finished! It was a blank slate when we started, so this is exciting! I hope you enjoy this salad and also the recipes from my blogging buddies! You won't be disappointed!! Combine all ingredients in a bowl. Refrigerate for one hour prior to serving. Check out all the other lovely chicken recipes below from bloggers who took part in our 30 Day Chicken Challenge. Homestyle Chicken Noodle Soup by Who Needs A Cape? This salad makes me want to go on a spring picnic. It's the perfect side dish. This is honestly the prettiest and tastiest looking macaroni salad I have ever seen! Well done! I love the use of basil in this salad ... bet it adds a wonderful zip of flavor. Love the added protein from the hard boiled eggs. Gosh! This looks really good and so easy to prepare. i love it! Such a creative dish! I never would have thought to combine all these tasty ingredients! This looks amazing! I love the flavors! What a perfect dish going into the warmer months!